WE ARE A FULL-SERVICE, AWARD-WINNING Creative Agency LOCATED IN TULSA, OKLAHOMA, SPECIALIZING IN VIDEO PRODUCTION, ANIMATION, GRAPHIC DESIGN, PHOTOGRAPHY, VOICEOVERS, AND WEB. We provide on-location and in-studio video, animation, visual effects, and editing for film, TV, live events, and web. Print design, photography, logo design, brochures, branding, booklets, flyers, menus, signage… If it’s displayed in pixels or printed in ink, we do it. We design stunning web and multimedia solutions that promote your brand or concept, attract new business, and empower your customers on the web. We are FAA certified and insured UAS drone pilots that provide aerial videography, photography, and site data. We offer multi-lingual voiceover services, audio production, and custom music production for radio, TV, film, and web. We design immersive and interactive rich media solutions for museums, hospitality, and trade shows. We play well together. We love our customers, and have a passion for creating things that are beautiful and functional. Brian shot his first movie at age 8, and has over 25 years of experience working in television, radio, and information technology. He is a master of visual storytelling as well as a voiceover artist. Brian is the moving pictures guy. He has directed, edited, and created visual FX for tons of corporate videos, commercials, music videos, and live events. He is also a skilled web developer and loves to make things happen with code. Brian wants to be a pilot when he grows up. Since graduating from TU with a degree in graphic design, Lisa has been pushing pixels for nationally-recognized brands. From origami to WordPress, she’s constantly refining herself as an artist. Lisa has also worked for a number of years in human resources, and knows how to apply creative design effectively for corporate communication, benefits, and HRIS. She loves dogs and coffee more than you could ever understand. Jacob is scary-good at understanding small business and project management. He’s the sensible one of the group, but is exceptionally creative and a master of distilling a concept down to its key moving parts. Jacob’s thoughtful approach and business acumen helps us create impactful and effective marketing solutions for our customers. He also has a keen eye for details, and knows how to find every bug, typo, and glitch before a design goes out the door. Also, Jacob doesn’t sleep… He waits. Our clients range from small startups and non-profit organizations to Fortune 500 companies, and regardless of the client or the medium, we’re all about generating firestorms of creativity that produce amazing end-products. They love us, and we think you will too. Our expertise is a culmination of filmmaking, graphic design, corporate communication and marketing, IT, film, television and radio. We pride ourselves on creating great visuals that provide a return on investment for you. 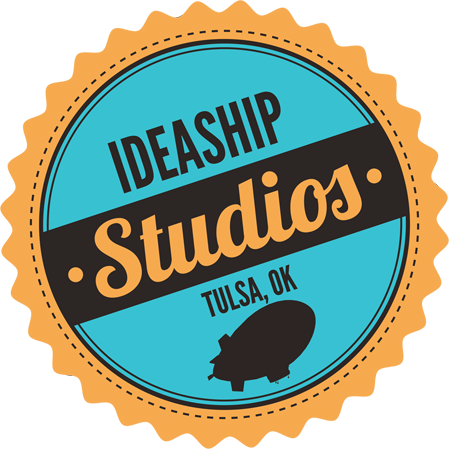 Ideaship specializes in delivering your story, product, or message with creativity and style. Our people, expertise, and industry-leading tools make a big difference in how your videos will look. We create and deliver engaging print and electronic media that helps our clients educate and inform their employees and customers. We push pixels to make your new or existing brand shine. We believe in a perfect balance between form and function with no trade-offs. We make websites that reflect your brand identity, promote your business or cause, and look great across all platforms. We are FAA Part 107 licensed for commercial drone flight, and fully insured by Global Aerospace. Ideaship has the expertise, creativity, and commitment to safety that you need in the sky. Ideaship offers a wide variety of voice talent in multiple languages for radio, TV, film, web, and IVR. We also provide translation services, audio production, sound design, and custom music production. We design immersive and interactive rich media solutions that deploy at museums, hotels, trade shows, and more. Whether for promotion, learning, or just for fun, our interactive solutions really stand out. Thank you so much for this – it is more than ideal and perfect for what I need. I have been let down twice for these shots so it’s great to actually have them and have them so beautifully done. I am in Bath in the UK so have been at the whim of some right idiots up until you genius’s appeared! You better get your thesaurus out when you work with Ideaship, because I found myself repeatedly saying ‘thank you’ at every phase. Lara, our brand rep at Vau.lt, e-mailed me and told me that our video was their favorite out of all the other brands. That’s all thanks to Ideaship! More than motivated self-starters, they’ve quite often already looked into or started to develop the very next thing, before we’ve even asked for it. We received the video and are very impressed with your work. We are extremely pleased with the finished product. Thanks for your due diligence. You’re a pro. You are hands down the only people I can depend on… and I mean that. You always get your s**t done, efficiently, on-time, and it’s fantastic. Thanks again for turning around the recordings so quickly. They sound fantastic! Thanks for all your work on helping Stella and Viv Magazine. I just saw the video on their site, amazing. So, excuse my language when I say this, but that was F***ING AWESOME! I am excited about the tool this will be for our business. This looks amazing! Thanks so much for all you do. Wanna see something cool? Here are some of our recent projects. Our team of creative experts are ready to bring your ideas to life. For more information on how Ideaship can bring our design mojo to your next project, please drop us a line.